I’d like to buy a truck for my business, what should I do first? Start off by deciding what you need: how much space is required, how large is your cargo, the type of delivery you will be making (to a dock, door delivery) what you’ll be transporting (pallets, forklifts, boxes, food, etc.). Then, decide on your budget. Call 1 877 382-0104 to speak with one of our representatives. They will be happy to answer any of your questions and help you with the buying process. I’m not located in the greater Montreal area, how will you deliver to me? A truck pool is a group of trucks ordered from the truck manufacturers, not destined for direct sale but made available for dealers and truck rental companies. In order to provide you with quick service, we offer truck pools from Ford, GM and Chrysler. I have a tight budget, what is the base price for a new truck body? You can buy a new truck body for a few thousand dollars. The price depends upon a variety of factors, including how you plan to use it, the size, options, accessories, etc. How long does it take to build a truck body? From the start of production to final installation, a truck body can be completed in as little as 3 days. 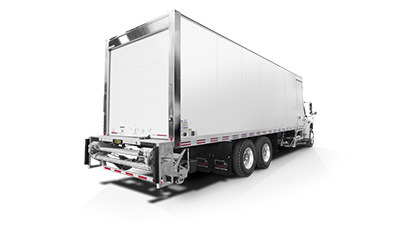 The guarantee is an important consideration when choosing a truck body. We offer you the following limited guarantee. What is the difference between a cab and chassis type of vehicule and a cutaway chassis? A cab and chassis vehicule is closed so you cannot access the inside of the truck body from the truck cab. 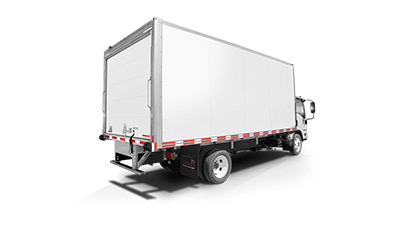 With a cutaway chassis, the cab is open and you are able to access the inside of the truck body from the truck cab. Can you install a new truck body onto a used truck chassis? Yes. Please contact our service department to get more information. I was told I should buy a truck with a GVW (gross vehicule weight) of 33,000 lbs. Does that mean that I can transport cargo that weighs 33,000 lbs? No. The GVW is the total capacity including the weight of the vehicule itself. In order to calculate the maximum payload capacity, you must subtract the weight of the truck, the truck body and all accessories (including items such as liftgate, shelving, fuel in the tank, etc) from the GVW. The remaining number represents the maximum payload capacity. Can the glue in the panels handle the extreme cold of our winters? Absolutely. The glue used in our panels is specially developed to withstand extreme temperature fluctuations. If I’ve had an accident with my truck body, either from Transit or another manufacturer, who should I call? You should contact one of our service department consultants to make an appointment or get advice. After my truck body was delivered, I realized that I wanted to add some accessories, like a tailgate. Is this possible? Yes, you can add accessories. Our technical advisors are trained to provide you with sound advice and reliable services. How long does it take to repair a panel? You should plan on a waiting time of between 3 and 4.5 hours. While you are waiting, it would be our pleasure to offer you a complimentary breakfast in our cafeteria. I am located outside of the greater Montreal region, do you have any other service centers that can perform repairs? Yes, we have 24 authorized service centers ready to welcome you. To find out which center is the most convenient for you, please call 1 877 382-0104. 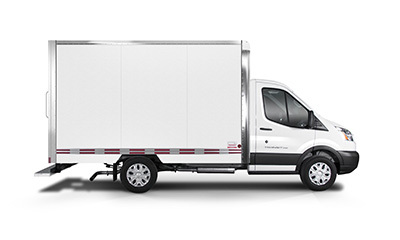 Where can I find the serial number on my Transit truck body? You can find the serial number stamped on the lower side rail on the passenger side as well as on the sticker placed on the inside frame of the door, on the driver side. Have you been certified by Transport Canada’s National Safety Mark? Yes, all our products have been certified with Transport Canada’s National Safety Mark. Additionally, we provide wheelbase modification services also certified with Transport Canada’s National Safety Mark.